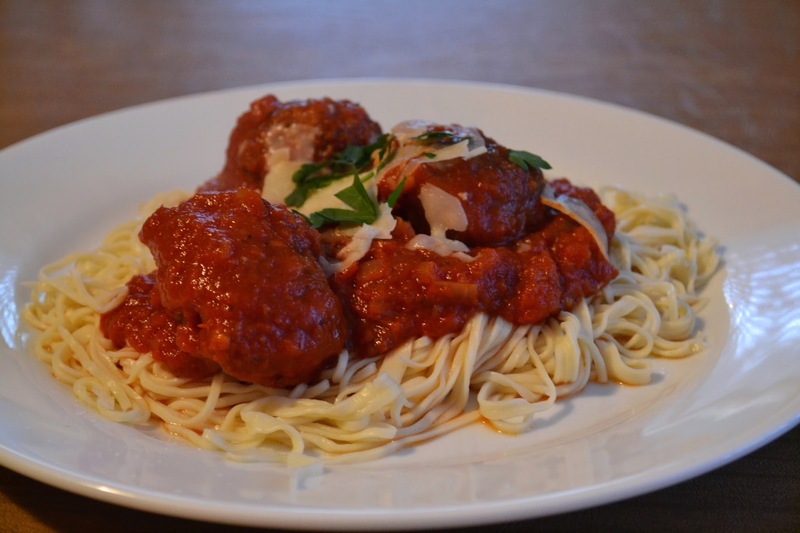 How hard can it be to make Spaghetti and Meatballs? After all, you can go buy a sauce and noodles at the store for 5 bucks and heat it up in 10 minutes but where is the fun in that? 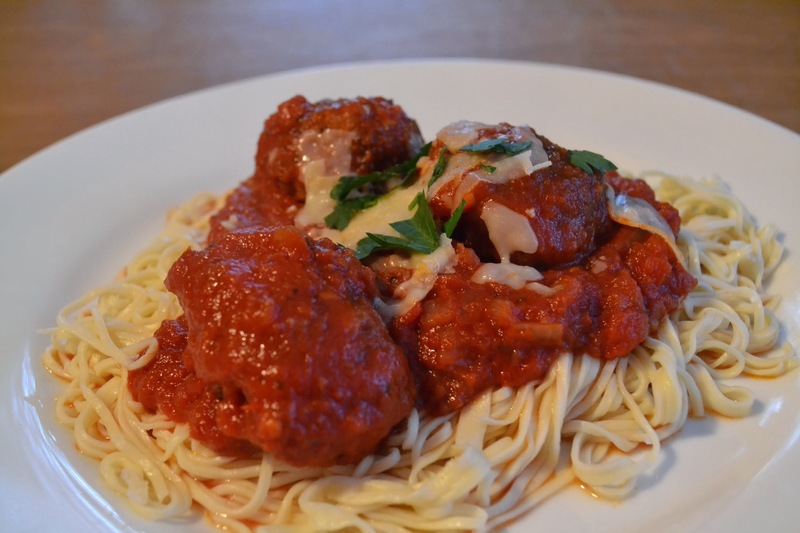 This is the weekend food project Spaghetti and Meatballs so let's do it the hard way let's make everything from scratch. 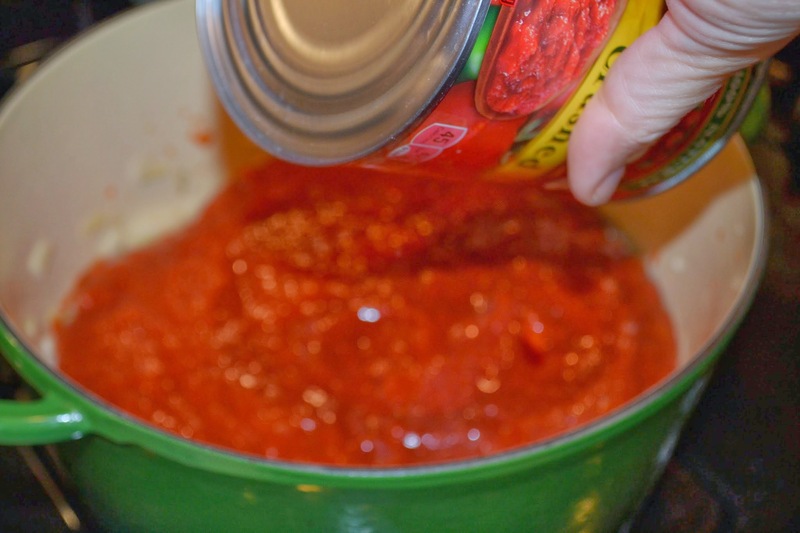 Here we make the sauce, the pasta and the meatballs from scratch. We turned what could have been a $5 and 15 minute effort into 3 hours and countless dollars of fun! We used the sauce and meatball recipe from Lidia Bastianich and we relied on Martha Stewart for the pasta making process. You can find that here. Yeah, it is a lot of stuff and it is a lot of steps. The kitchen looked like a bomb went off when we were finished and I am one that tries to clean as I go. So start with the pasta because it needs to rest for a minimum of an hour and hopefully overnight. You can do the whole mound and nest process or you can put it into the kitchenaid like we did. 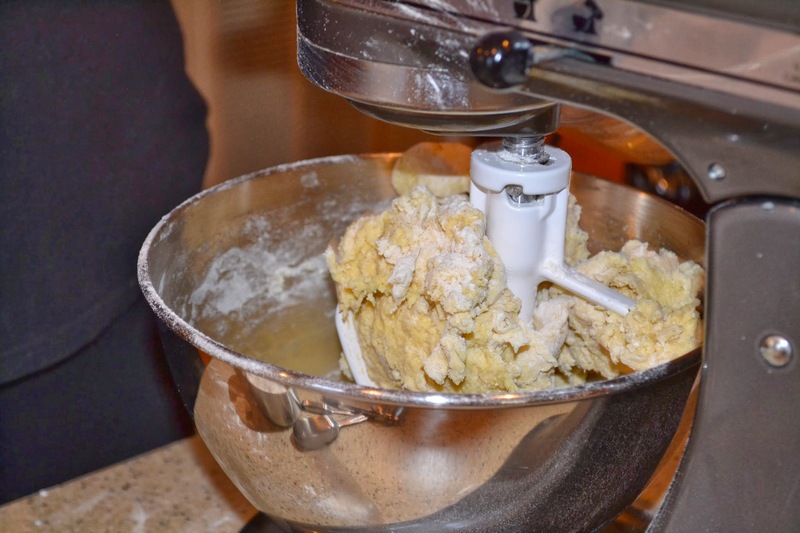 Mix it up and then pull it out on the board and knead it while adding flour until it isn't wet and sticky. Knead for 3 or 4 minutes until the dough is elastic then knead 4 more minutes. Continue to dust the board. 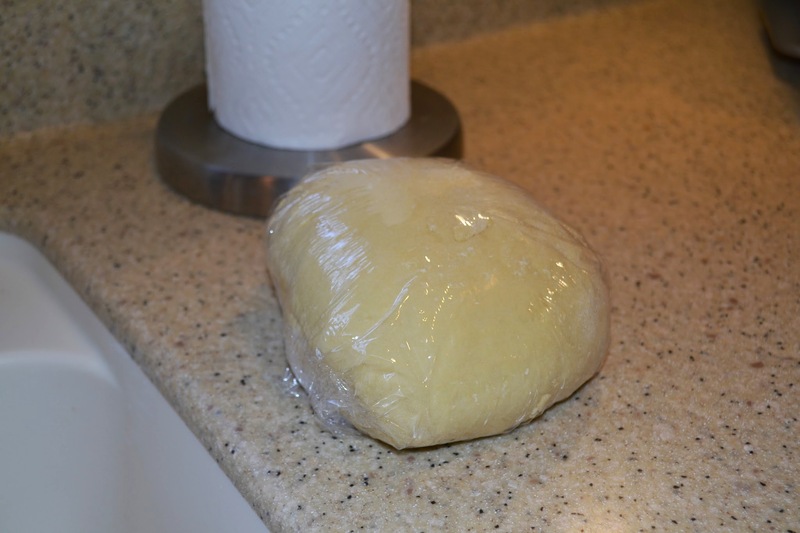 Divide the dough into the size you will use in the pasta machine and cover in plastic wrap and let it rest for at least an hour. 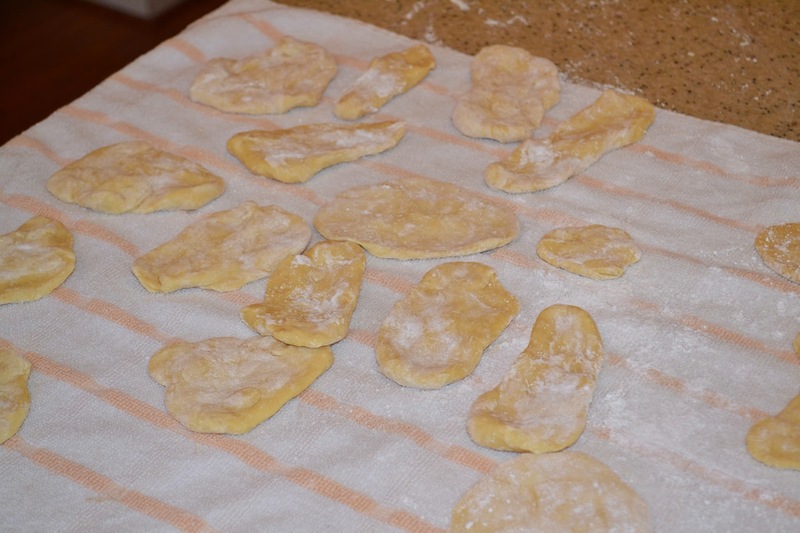 After resting we run it through the pasta press and cutter then hang to dry. Go ahead and make the sauce. 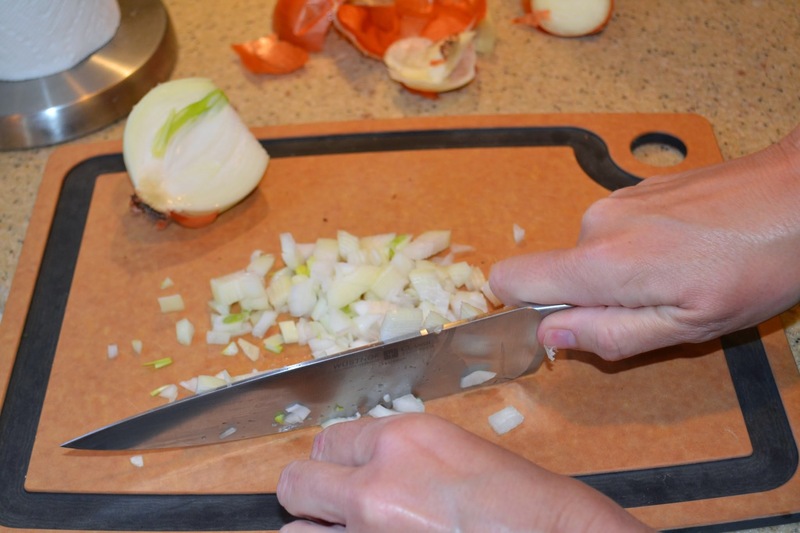 Heat up the olive oil then stir in the diced onion. Pour in the tomatoes, pepper, salt and pepper and bay leaves. 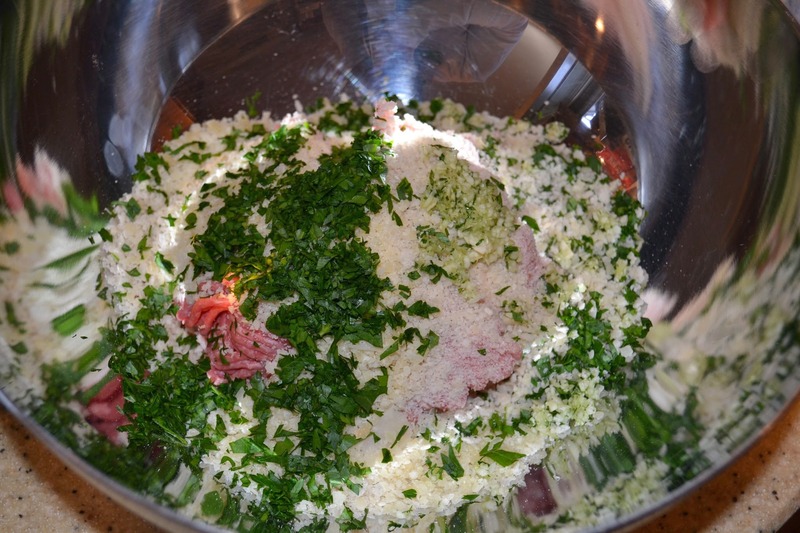 Crumble up the beef and pork, bread crumbs, cheese, parsley and garlic. Beat the egg and salt and pepper and then add in. Mix by hand (not too much). Shape into walnut sized meatballs, flour. 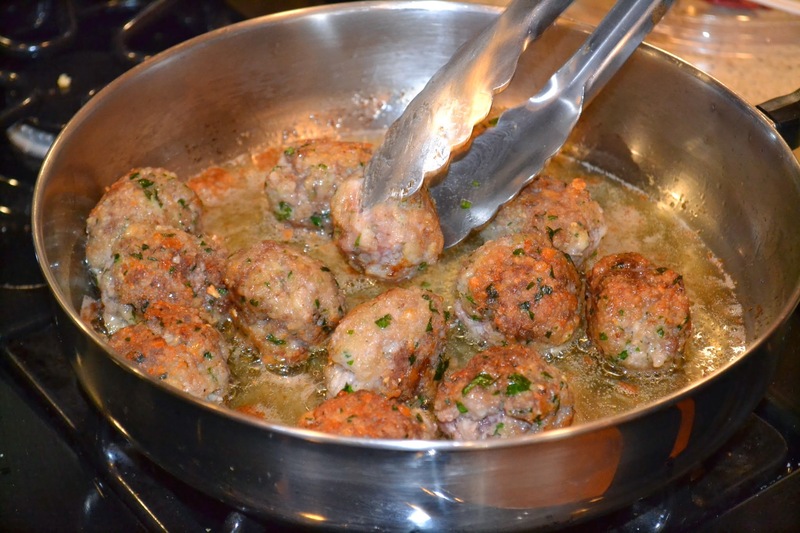 Heat up the two oils in a pan and brown the meatballs. Then add to the sauce. Cook about 30 minutes. This may have been the most complicated thing we have made and yet it is one of the simplest meals. Go figure. We mixed up the flour and eggs in the mixer. 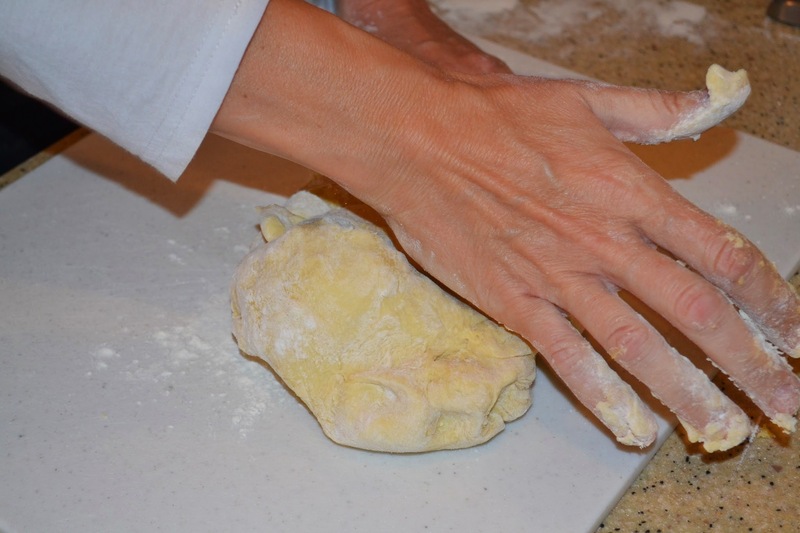 Then kneaded the dough. Here we didn't add enough flour while doing this so it was sticky. Let it sit for at least an hour. Preferably overnight. To help out with drying the dough we flattened them out and added flour to get the dough to a point that it wasn't sticky. 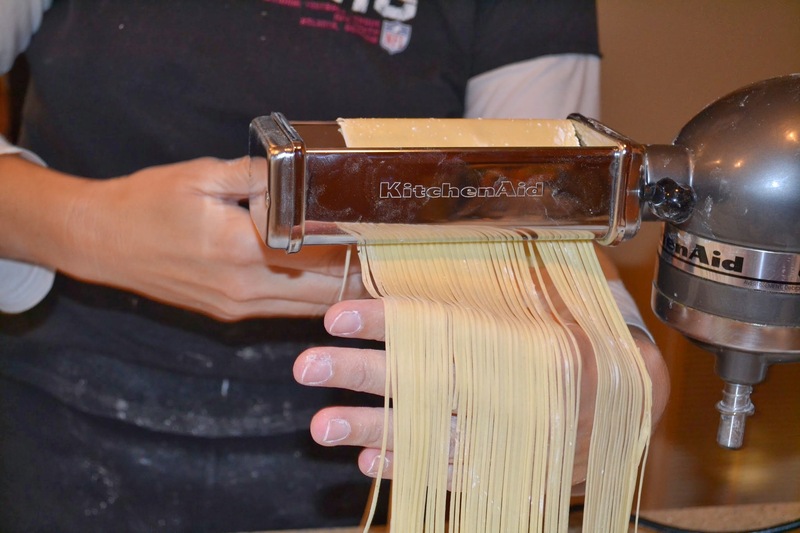 I will leave out the whole episode of trying to use the pasta extruder to make actual spaghetti noodles. We tried several different ways and it always turned into a sticky mess. It came out of the extruder looking awesome but it then would stick together and turn into a goop. No manner or googling or messing with the consistency of the dough seemed to help so we decided to shift to angel hair using the cutting attachment. This is something we need to work on and maybe talk to someone at cooks warehouse or something. Maybe I should call the kitchen aid hotline? Help! 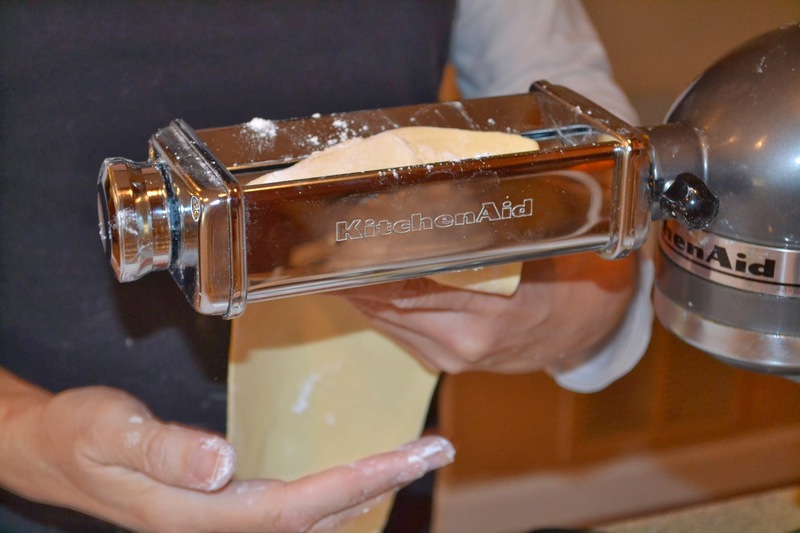 This is the pasta roller attachment. We followed the directions and slowly changed the thickness from a 1 to a 5 while running it through twice per notch. Also patted with flour to keep it from getting sticky. That was key. Then ran through the cutter to make thin strips. Don't get me started on the spaghetti press attachment. We couldn't get it to work. So ended up just cutting them. It worked great. At the end of this effort it looked like a flour bomb had gone off in the kitchen. Probably should make some coffee and maybe change your shirt because you probably have a lot of flour in your hair. 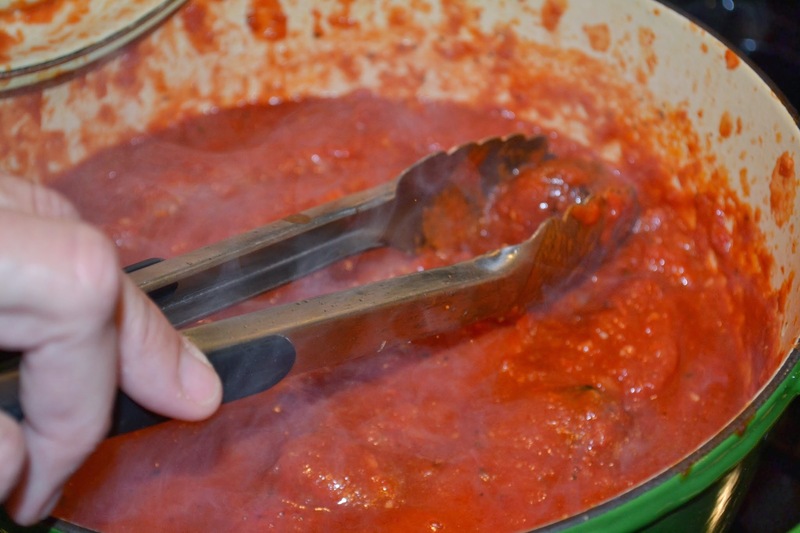 Then add in the tomatoes and let it simmer for an hour or so while you make the meatballs. Mix by hand. Don't mix up too much. 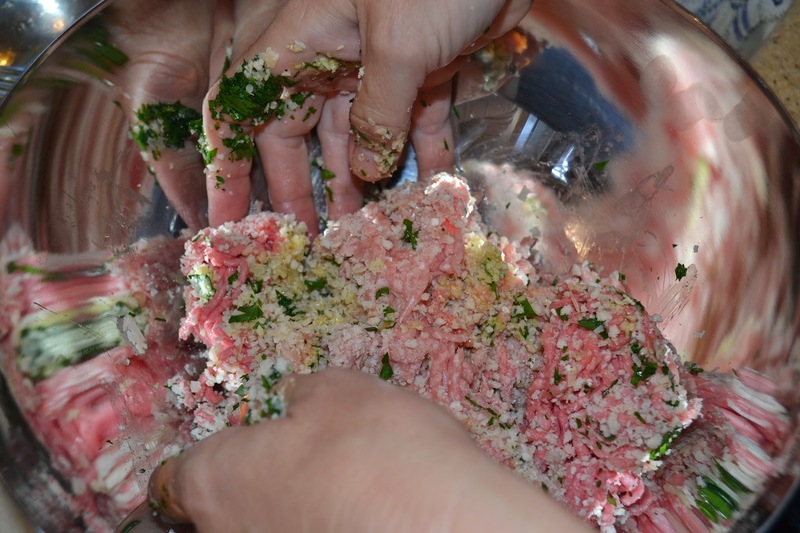 Form into meatballs, roll in flour and then brown in the oil mix. Then add them to the sauce and let it cook for 30-45 minutes. 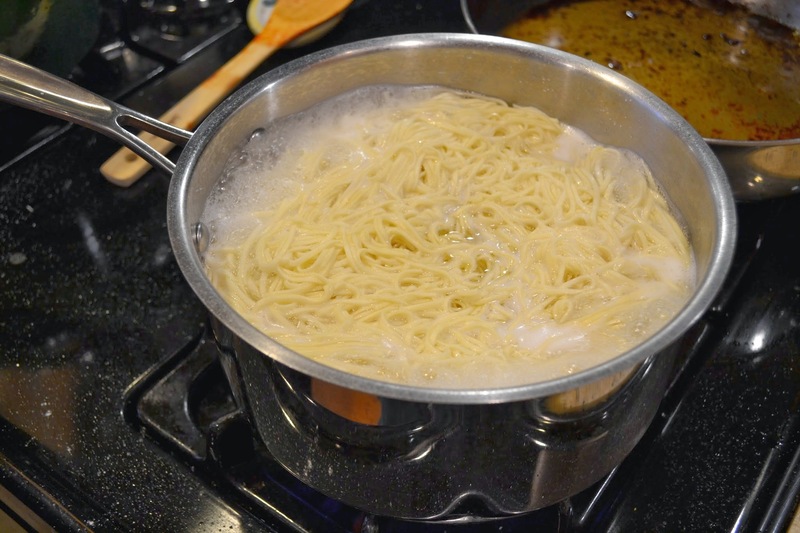 Boil the pasta in water as salty as the sea. Only takes a couple of minutes. 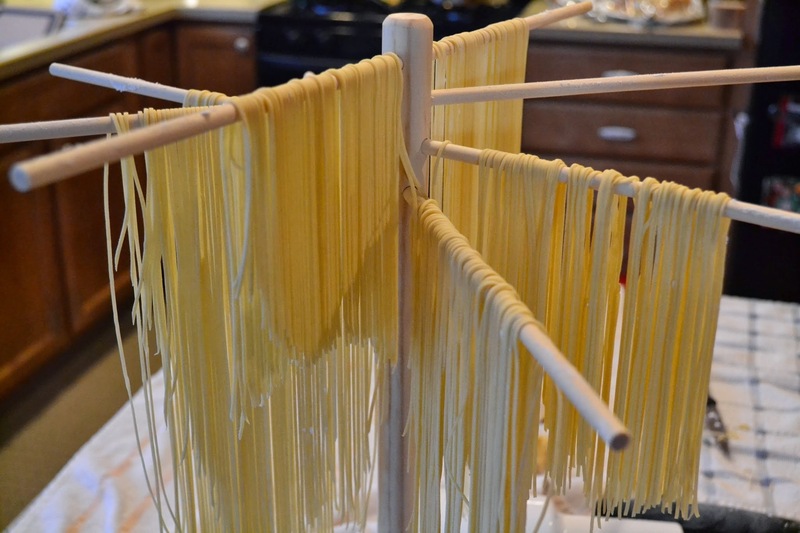 The fresh pasta cooks quick. Plate it up and eat! finally. So the sauce and the pasta were delicious. 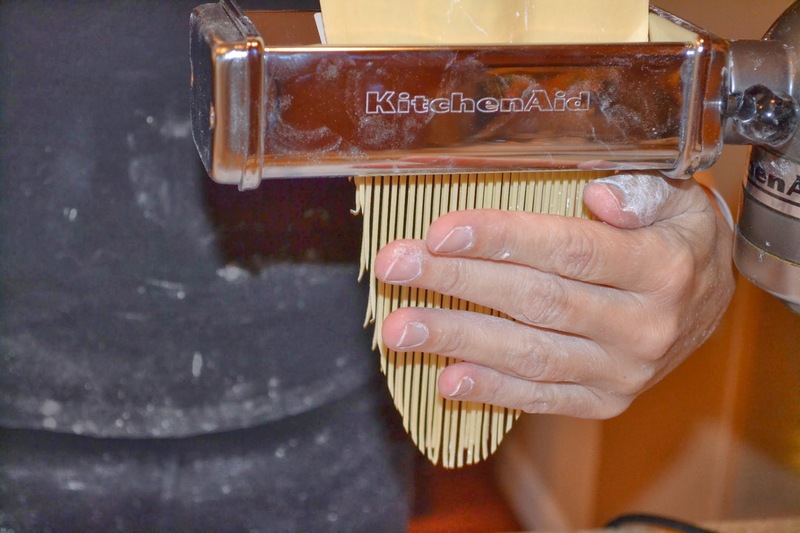 Fresh made pasta is one of those things that you need to make because it really is special. Too bad we couldn't figure out how to extrude spaghetti and ended up with angel hair pasta. Sadly, the meatballs were bland, disappointing, and upsetting. I don't know why. I thought at first that I left something out but after checking, it was made just as described. I don't know why it wasn't good. It seems like it should have been. Next time, I'll skip the meatballs and use spicy italian sausage. Incidentally, the sauce and the pasta were excellent the second day when we added some sausages off the big green egg and tossed the meatballs in the garbage. So apparently Thermoworks doesn't sell through Amazon anymore. You must buy direct. Still the thermometer to have. Go here and order direct. My daughter and I have been making cupcakes together for many years now. What started as a fun bonding time activity on Saturday night has turned into a bit of an obsession as we continue on our quest for the perfect cupcake. We saw baking as a great way to see chemistry in action with the added benefit of getting to eat the delicious results. We started simply at first by just using cake mix and frosting from the jar and over time worked our way to everything from scratch. Turns out that Katie has quite a knack for cupcakes. I encourage you to spend some time on Saturday night making cupcakes with your kids. We chose this from the many recipes available in Betty Crocker's The Big Book of Cupcakes. It is the snickerdoodle cupcake. White cupcakes with cinnamon and cinnamon frosting. Heat oven to 350. Mix flour, cinnamon, baking powder and salt then set aside. 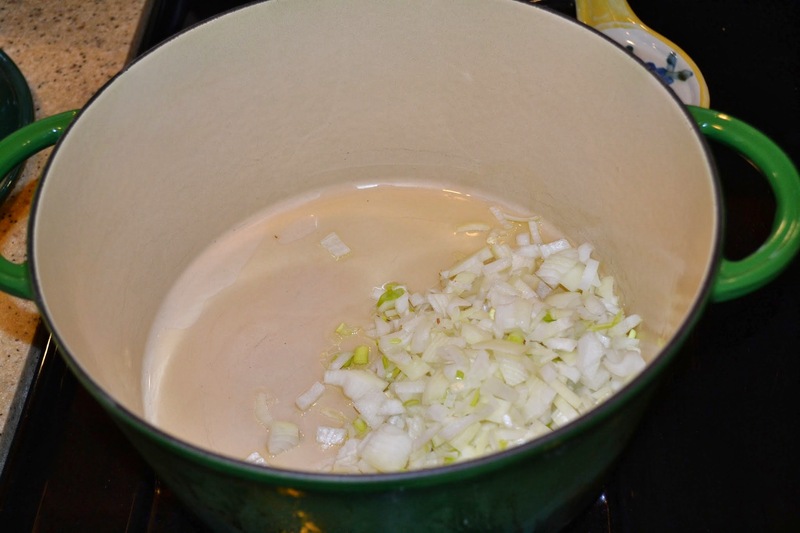 In another bowl beat softened butter while gradually adding sugar. Add egg whites, milk and vanilla. Then on low speed add flour mixture just until blended. Mix sugar, cinnamon and butter. Stir in vanilla and slowly add milk until the frosting is smooth and spreadable. First, make some coffee and measure out your ingredients ahead of time. It makes assembly more enjoyable and less hectic. Mix up the flour cinnamon, baking powder and salt. Then mix in the flour mixture. 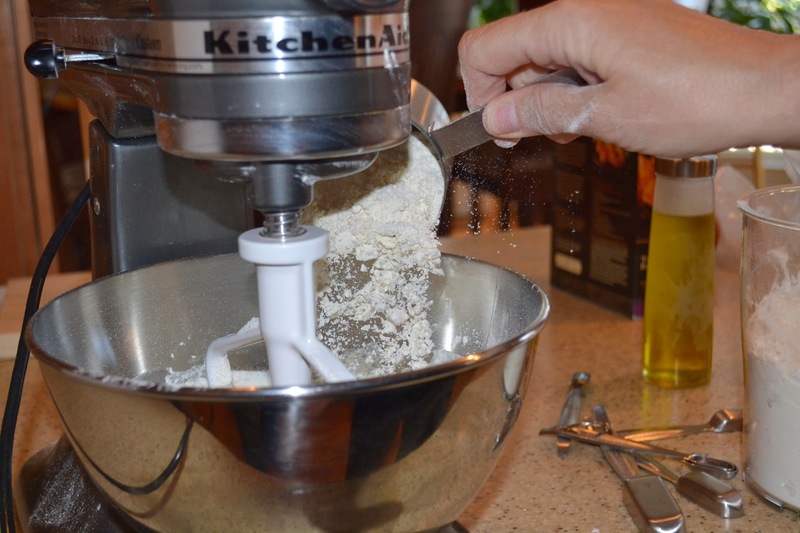 Minimize beating the flour or your cake will be dense. 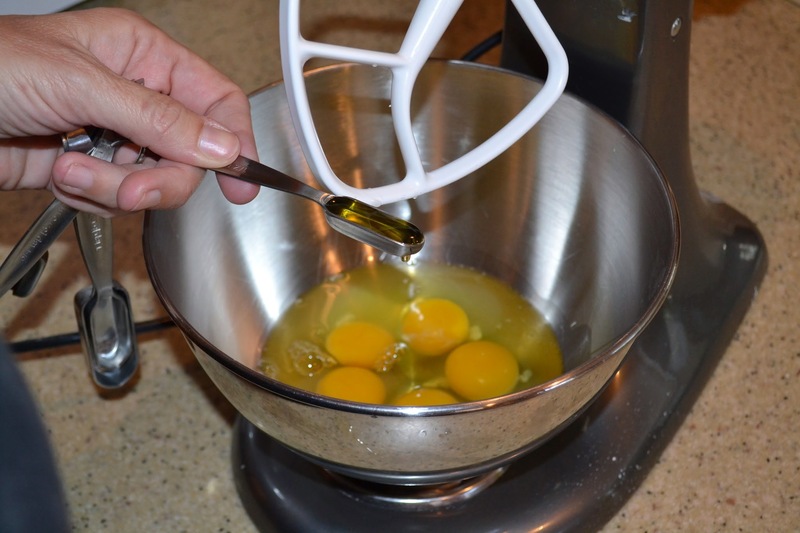 Use an ice cream scoop to get a precise measured amount into each cupcake. We like to make our cupcakes smaller to avoid the mess of overruns and saves on calories. Then pop them in the oven for 18 minutes at 350. Put them on a baking rack to cool before adding frosting. Real frosting will melt on a hot cupcake. While baking, go ahead and whip up the frosting. We like to use a cake decorating kit to apply the frosting. Don't use too much or it will be all you taste. Remember that cupcakes are CAKES. So the frosting to cake ratio should be similar or all you taste is the frosting. Look at these beauties. We estimate that they are about 200 calories. There isn't much in life that is better than a homemade from scratch cupcake that is still warm from the oven. These are delicious and I encourage you to try them but more importantly, the time you get to spend with your kids makes them priceless.